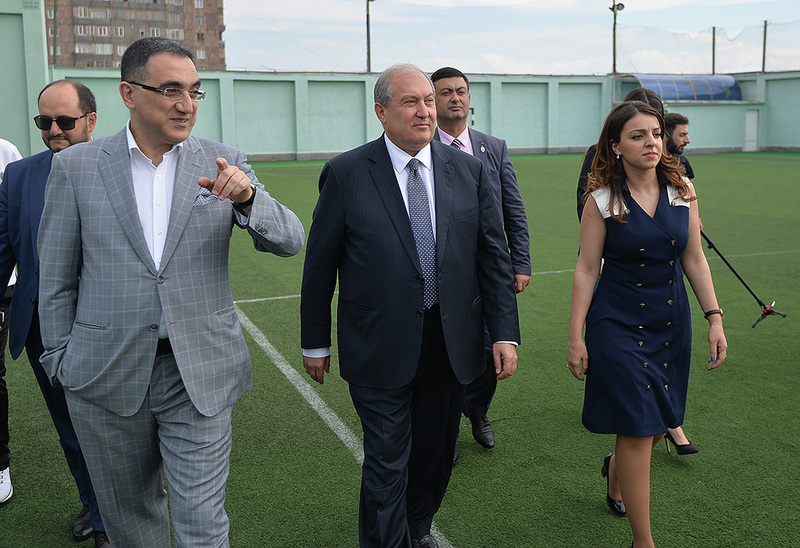 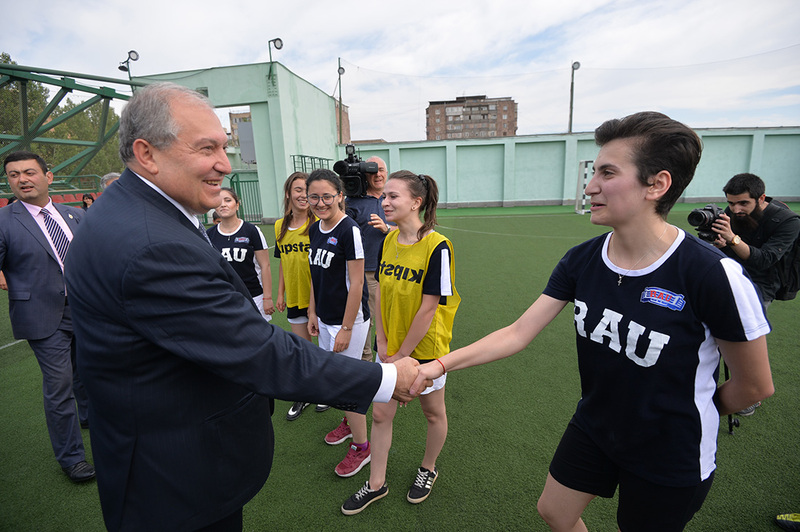 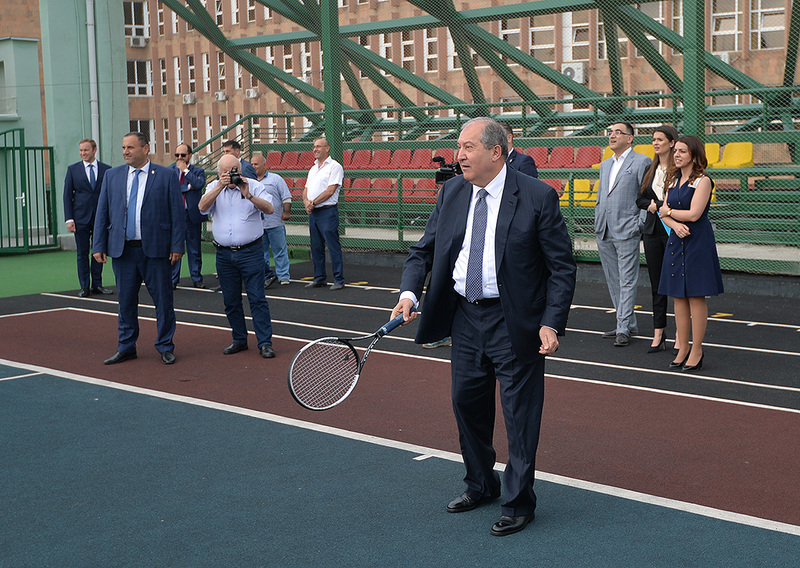 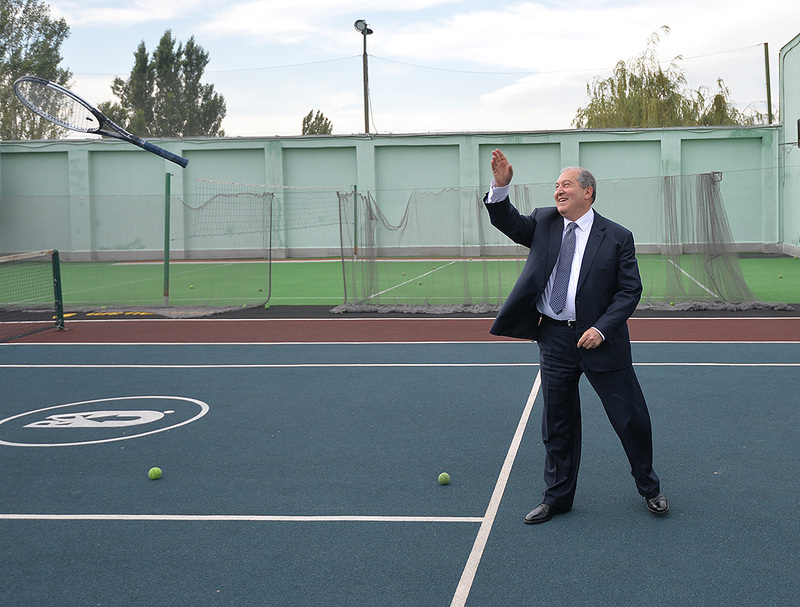 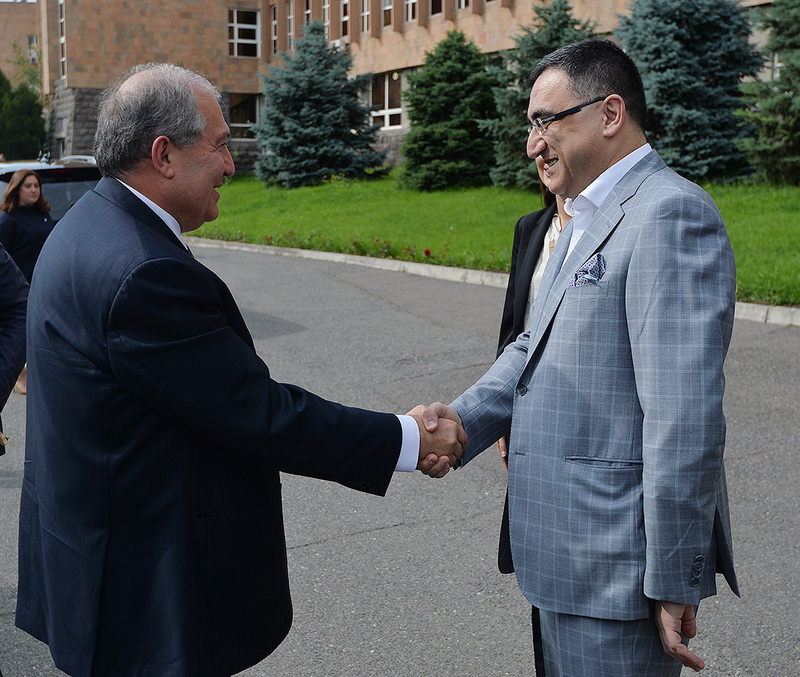 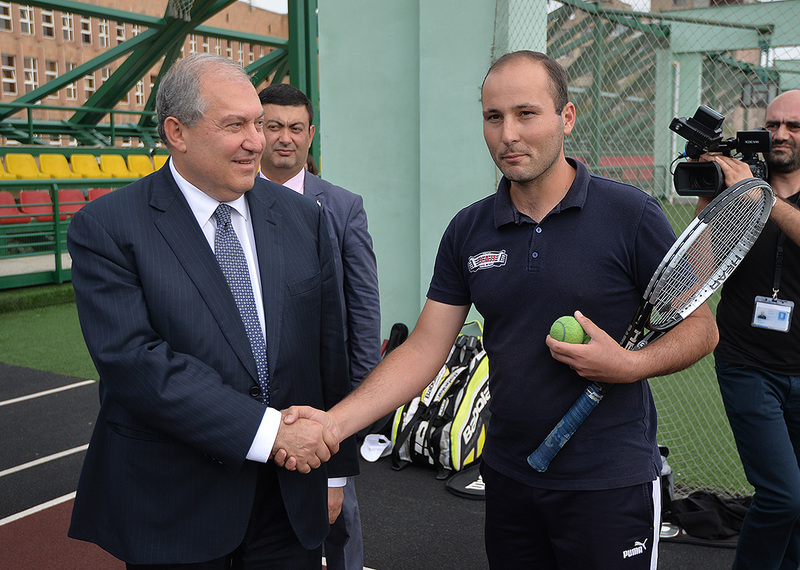 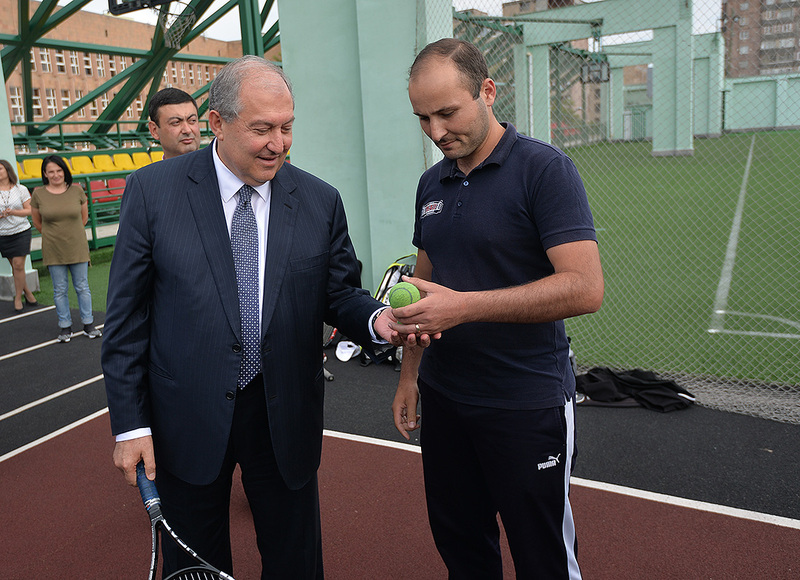 President Armen Sarkissian visited today the Armenian-Russian (Slavic) University. 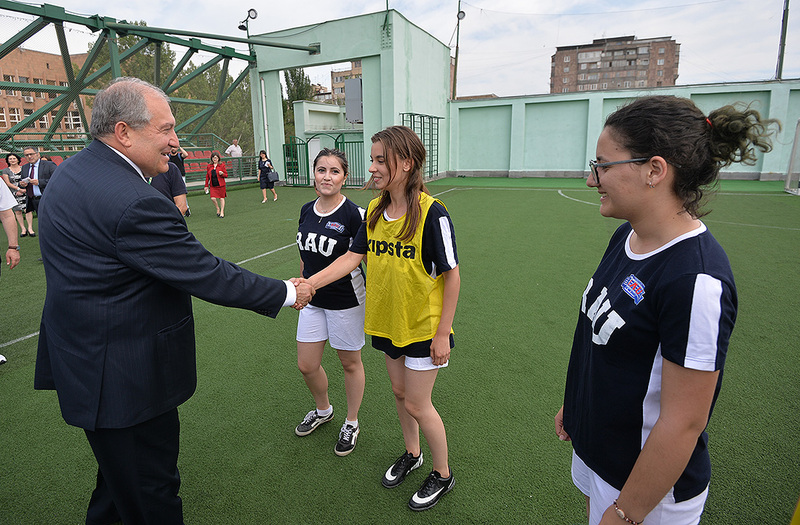 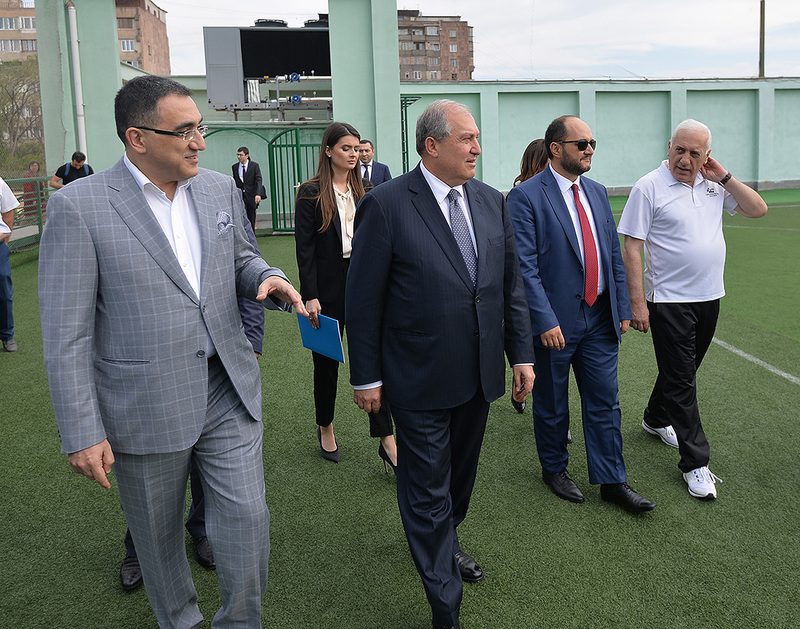 Accompanied by the Rector of the University Armen Darbinian and Minister of Education and Science Arayik Harutyunian, the President toured the premise, visited the gym of the University, conversed with the students working out there and observed the lab facilities. 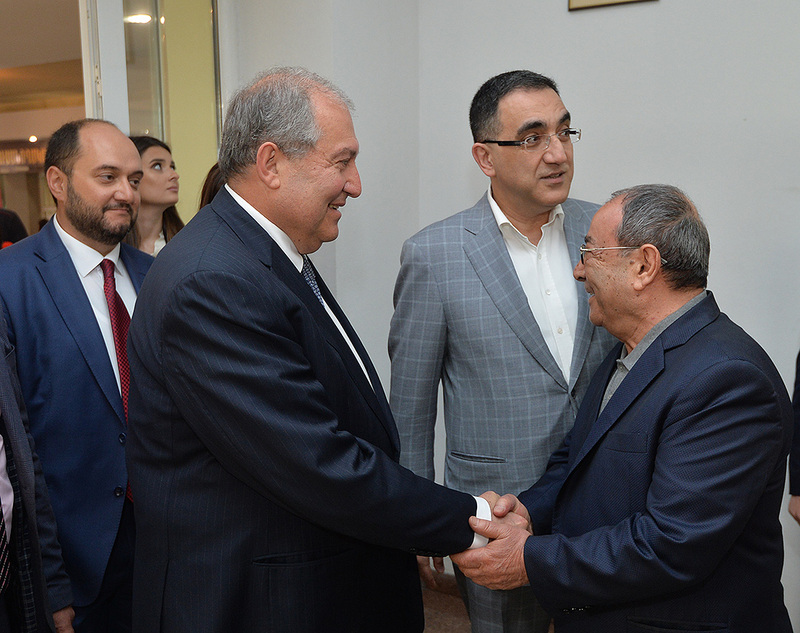 After the tour, President Armen Sarkissian met with the leadership, heads of the University Schools and administration. 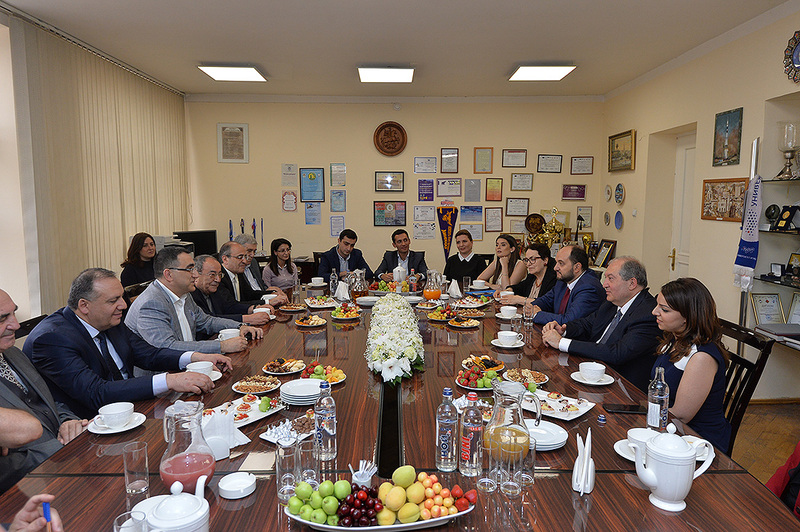 Rector Armen Darbinian spoke about the achievements of the University, educational programs, prospects for development and cooperation established with a number of university in foreign countries. 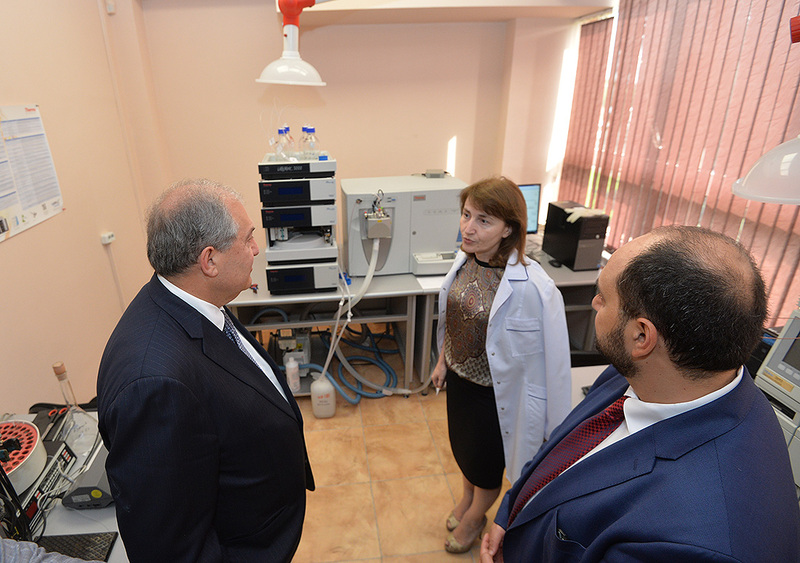 He noted that the University attaches great importance to the scientific component and a rather efficient cooperation has already been established with the scientific and academic circles. 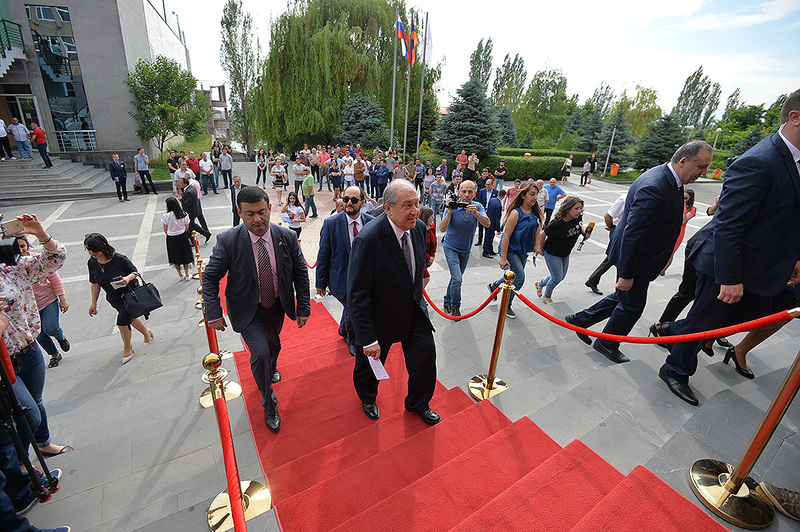 The President expressed satisfaction with the accomplishments, stressed the importance of advancing at scientific directions and expressed readiness to assist in the implementation of the programs.